Students use the new collaboration space with interactive display and white boards. Baylor School of Education’s Learning Resources Center (LRC) underwent a renovation this summer and is hosting a grand re-opening Thursday, Sept. 6, from 3-4 p.m. The LRC has changed a lot, thanks to a grant of $100,000 from an anonymous donor. During the grand re-opening, the LRC and Media Center will showcase the renovations, give away door prizes, and provide refreshments in the LRC. A survey last year found that School of Education students needed more resources for collaboration and conference-style studying. When Pam Voyles, Librarian and Director of the Learning Resources Center, joined the SOE team in March of 2018, she jumped wholeheartedly into the makeover to ensure students have a modern and comfortable space to work. Most of the grant helped with technology and general upgrades, while 30 percent is dedicated to the children’s literature collection development. That will be an ongoing project; SOE faculty and students can request specific books to use in student teaching, other projects with local school children, or use in SOE classrooms. Then those books remain in the library for use by other SOE students or faculty. In the Media Center, students can find resources to jump start their creativity. 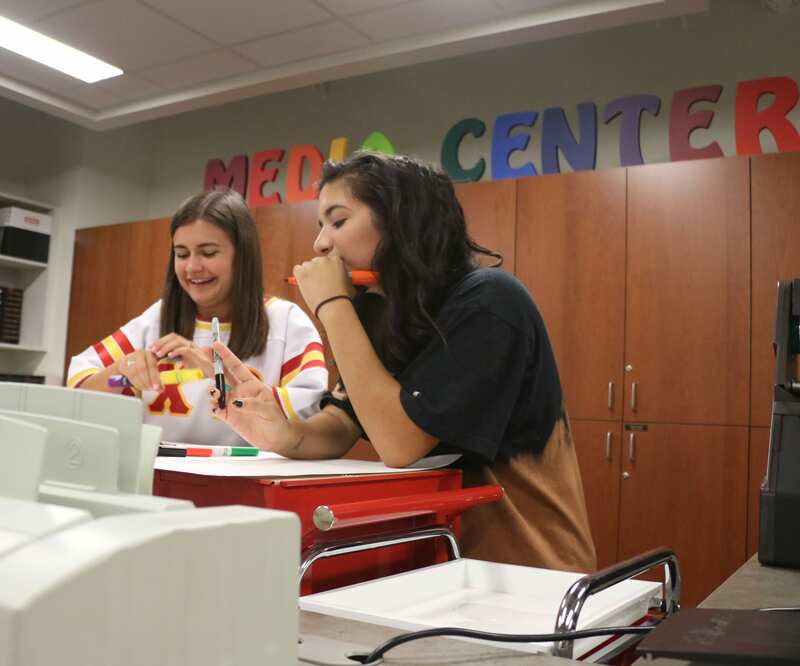 The Media Center is now more open and accessible from the LRC, with a string of windows giving a full view of the Media Center and the technology and tools it offers. Education students can use multiple 3D printers, laminators, poster printers, projectors, and desktop computers to help them as they teach K-12 students. New technology devices and other equipment have also permeated other areas of the LRC, Martin said. 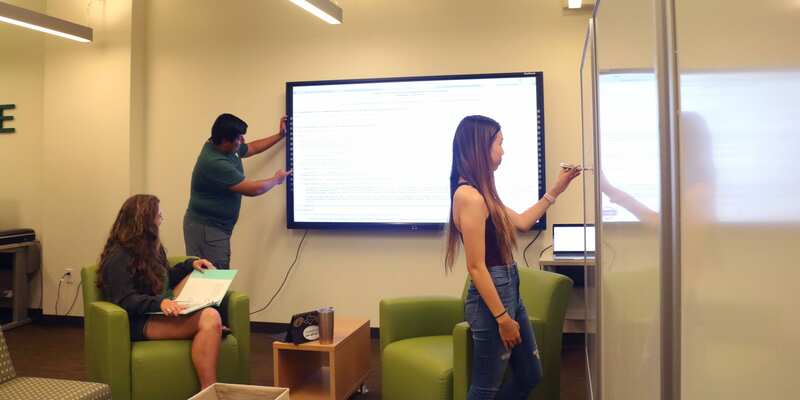 New white boards are available in the study areas, and there’s new collaboration space with large interactive monitors. “These are a huge upgrade compared to the spaces before, and they’re much more useful for our students,” Martin said. Dr. Terrill Saxon, Interim Dean, said each detail and renovation was installed to improve the experience for the students, and the technological updates allow the School of Education to remain current.